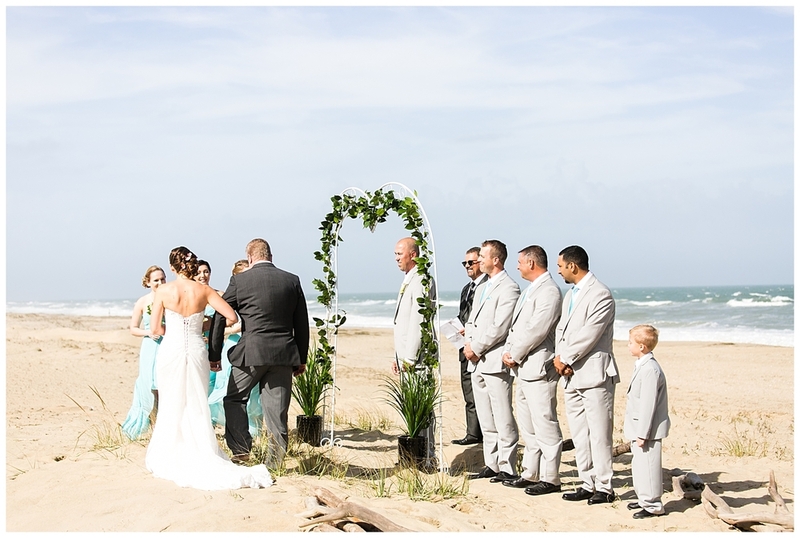 What was suppose to be a hurricane, turned out the be the most amazing weather, for the MOST perfect beach ceremony!! I was so happy when I woke up to find the sun shining!! 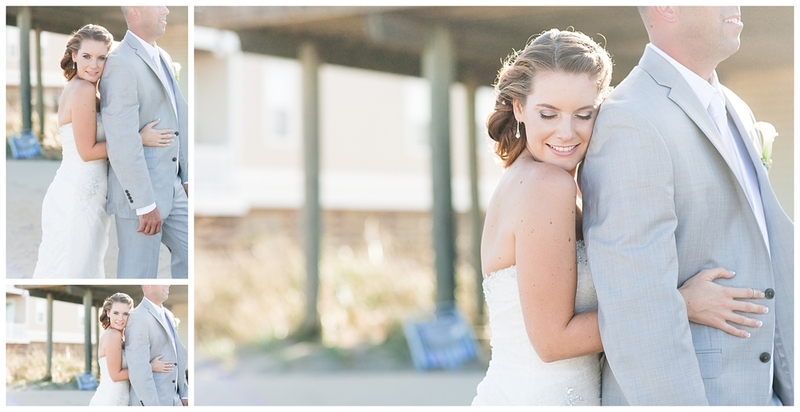 I met Sarah & John for coffee during the summer to talk about their perfect beach wedding! 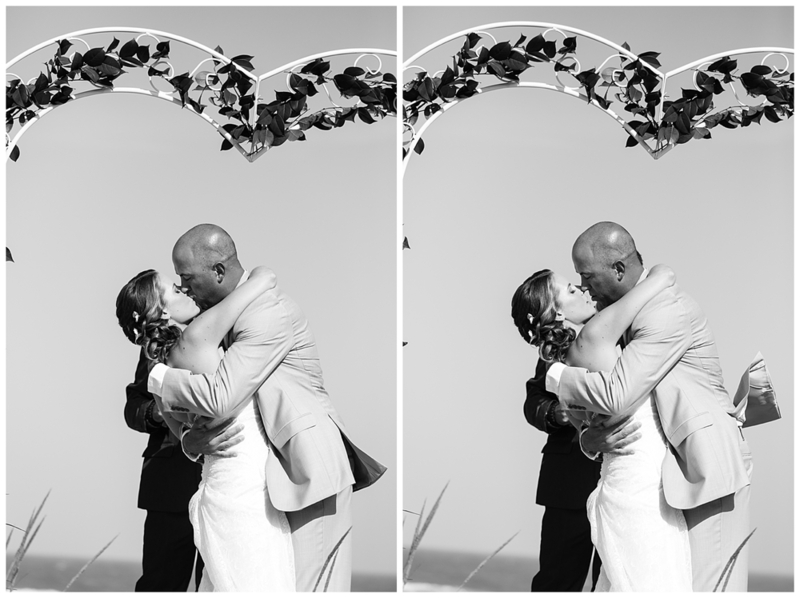 They wanted a small, intimate wedding just filled with portraits of the two of them in love! I was only hired for a short period of time, so we did just that! 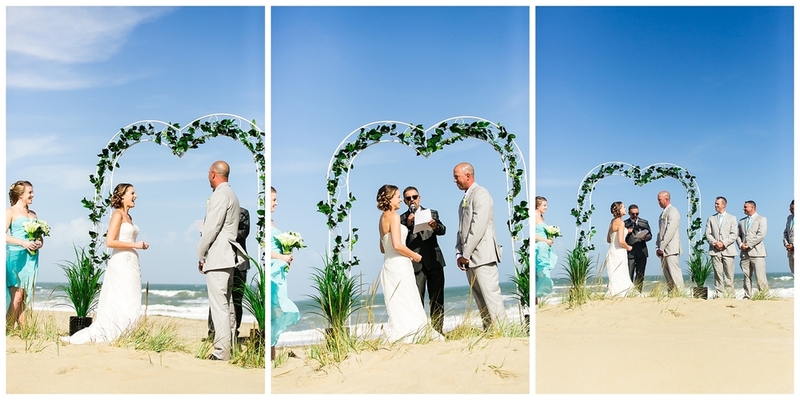 John made their wedding aisle out of driftwood and it took him forever to pave the way of no footsteps. 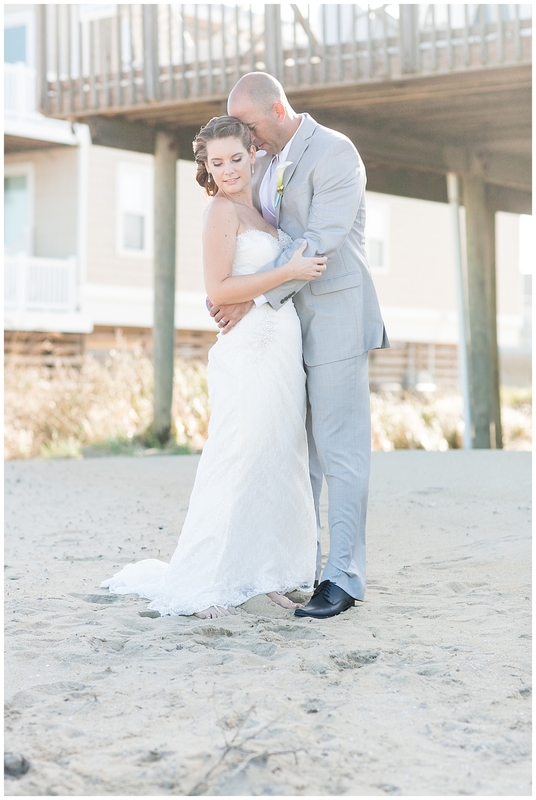 He said "the first foot steps I want on this aisle is when she walks down the aisle to me." I thought that was the sweetest, most thoughtful thing!! 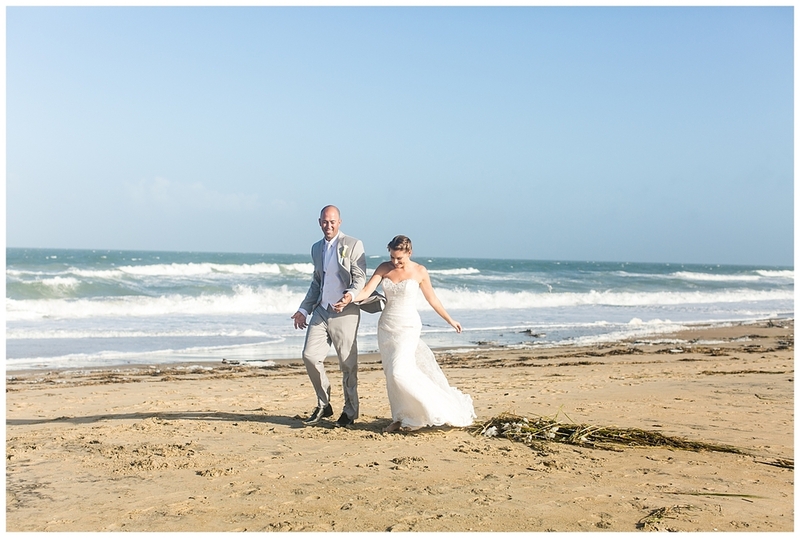 He spent the whole morning on what he thought was going to be a horrible day - smoothing the sand for that aisle!! It was beautiful! 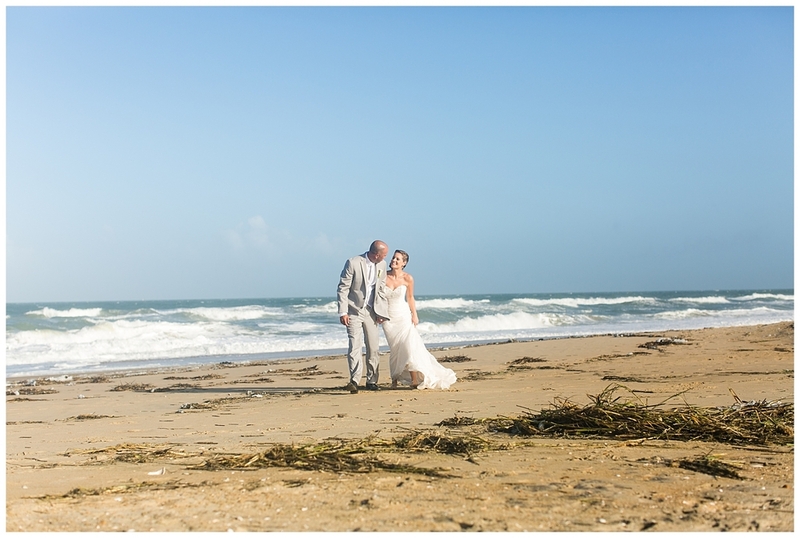 Sure it was plenty windy, but no one even seemed to notice with that beautiful sun a shining!! Check out their adorable high fives that they do!! "It's our thing," they said! We have done it from day one! Congratulations Sarah & John!! Thank You for choosing me to be apart of your special day! !